Our excellent reputation is built on our clients’ experiences. We get lots of great feedback. Those testimonials come from clients who we helped buy or sell homes in the east bay. The testimonials below offer just a smattering of what they have to say about our real estate services. Mona and her team are an incredible group of professionals. Her expertise and knowledge far exceeded my expectations. She came to my home on a Sunday night with little warning that I needed to sell my home quickly to purchase another one and had it staged and list in 24 hours. Her follow thru and attention to details were very comforting to me. I highly recommend her and her team to list and sell your home. She will get the job done. She an expert in the Tri City Area. Any questions. You can contact me. Mona turned out to be an angel from the GODS. I was a newbie and green she held my had through the whole process and never made me feel dumb. (She even went to Home Depot with me!!) And this was to sell a $150K condo that she probably didn’t make a dime considering how much time I spent asking her questions. She helped me find a house too a steered me in a great direction. I have been using her ever since and will continue to do so. She has a keen memory and excellent people skills. Her husband, Abe isn’t too bad either. She really is the best. I highly recommend. Mona helped us buy our dream home. She is a thorough professional, highly responsive and knowledgeable about the East Bay housing market. She showed us a variety of properties and had all the market analysis in order. Once our offer on our prospective home was accepted, she scheduled all the necessary inspections in a short duration. She is absolutely the best! I highly recommend her. Mona just helped me sell my house at the top price in my neighborhood in a very short time with only one open house. She and her team were willing to spend time identifying the best way to sell my house and did a very good job staging my house. I had go through 2.5 months of bad experiences with my past agent. When I met Mona, I was very exhausted and frustrated. However when Mona stepped in everything magically changed. Her excellent knowledge, fast customer response and warm personality made her a standout. I can totally tell the difference. She is efficient and always can find the right solution whenever there is a problem. And she is positive and calm. Working with her is always a pleasure. She helped me find a new house very quickly right after. As a local agent she knew the area very well so we clients can spend our money wisely finding the right house. We are in the process of closing my new house now. And I am really happy we’ve found a deal. A home is probably the biggest thing for most families so choosing a good realtor is so important. She did everything right! I definitely recommend Mona and her team. She is the best! I had the most pleasant opportunity to have come upon Mona and her team to administer my real estate transaction. Professional and personally accommodating, I found their services top notch while personalized. I found that they listened to my concerns and addressed them expediently. I highly recommend Mona and eHomeSurf Real Estate team. My wife, Sonal, and I purchased a Home in the Oakley-area a few years ago. We were looking to sell our home and move to San Ramon area. 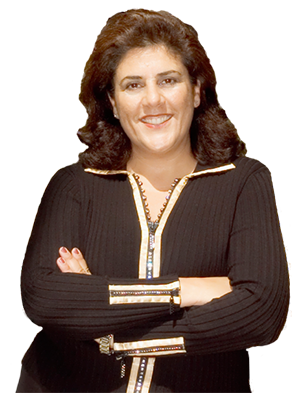 Mona Koussa was the third and final Agent we worked-with to sell our home. Previous challenges with Agents included lack of communications, inexperienced advice on House-staging, not having a Marketing plan, etc. These are examples of fundamental traits that are critical in an Agent, from our perspective. Mona possessed not only these characteristics – but gave visibility to Sonal and I on other best practices on selling our Home. In short-time after on-boarding Mona, we were able to sell our Oakley in competitive price for the area. Sonal and I were looking for a single-family Home in the San Ramon-area. Mona has in-depth knowledge of the San Ramon and neighboring areas. Her background from a Real Estate Agent and Resident perspective are invaluable. The experience that Mona brought helped Sonal and I down-select our options in comfortable-manner. Mona was the third and final Agent we worked – from a Buying perspective. The service and personal attention we received from Mona and her staff from the last several months was exceptional! Regardless of whether you are buying or selling, I would highly recommend Mona to help you in this life changing move. We could not have asked for a better Realtor to guide us through the process. I am so glad to have Mona as my realtor to help me with my last real estate transaction. It was a short sale so the process was rather long and complicated but Mona had made it really easy for me. Mona is such a wonderful person to work with. Mona is very knowledgeable, experienced and has great negotiation skills. She really listens to my needs and concerns and is very patient. Mona is also very flexible and accessible. I will definitely have Mona again for my future real estate needs and would recommend Mona to all of my friends who are looking for the BEST realtor to work with. Thank you so much Mona, Abe and Carol for all your help. Mona is GREAT. We were using another realtor in the area that always seemed just a little too busy and rushed and we felt we were not getting anywhere. When ZiQin and I met Mona, it was like a weight being lifted off of our shoulders. She is extremely intuitive and successfully balanced the wants and needs of my wife and I. As busy as she is she makes her clients feel as though they are the only priority she has with absolute focus. Thanks to her our little girls have a home to call their own. We will refer Mona anytime we can. Mona is the most thorough and thoughtful real estate agent I have ever encountered, not some days, but all the time. Buying property is extremely stressful and there are layers of unknowns to me as the buyer that she shared with me to make the transaction smooth, and where I felt educated and empowered. Mona answered my calls in the early morning and late evenings, she was there for my every question. I needed information for neighbors to cut a tree, she found it, I needed help remodeled she gave me a list of contractors she herself has hired, as well as helped me secure a great mortgage- she’s the one stop for all your real estate needs. Most importantly, she listens to you and your needs, and if she can’t help you she’ll get the right person too. I can’t say enough good things about Mona. I will definitely use her services again and refer others to her. Thank you Mona! I had the privilege and pleasure of working with Mona—an extraordinary realtor—during my sixth real estate transaction. This experience was absolutely THE BEST EXPERIENCE I’ve had among my six real estate transactions! Imagine this: a buyer relocating from out of state with relocation benefits, a seller relocating out of state with their own relocation benefits, a pit-bull relocation company on the seller’s side, a heated buyer’s market with properties selling for 150% or more above listing prices and a mid-stream change in selling agent. Not only was Mona able to negotiate a price $65K less than what the seller’s originally wanted, Mona remained calm and focused. She’s a rare gem! I am so glad I listened to my friend’s recommendation and sought the services of Mona. This was my first time buying a house and like many first time buyers, I was nervous but Mona couldn’t have been more patient and understanding. She was able to answer all my questions and guide me through each step of the process. Once negotiations began, she was in constant communication and made sure escrow went smoothly. Not only was Mona great but so was her team. Would definitely recommend Mona to friends and family. Mona is an ambassador to your ideal home. She is the tops when it comes to knowing the market and picking up what is most important to you. She takes her time and is thorough. She is patient and has a wonderful personality and is just overall fun to work with in finding your home. She helped my husband and I find our home on more than one occasion and has never let us down. It would be not only remiss not to hire her, but prudent, if you have the opportunity. Mona made our house buying process absolutely hassle free and listened to our concerns and worked through them. She is a great realtor and a gem of a person. We were lucky to have her represent us. Many thanks to her and we would definitely refer her to family and friends. Mona worked countless hours with my wife and I in order to find just the right house for us we were very particular in what we wanted and Mona stuck with us and found us the home we were looking for. We are very pleased with the home we chose and Mona was with us every step of the way. Mona did a fantastic job we are sure glad we had her as our agent. We hope you and your family had a wonderful holiday season. I came across an old e-mail you sent us and just wanted to say hello. We love our new home and just wanted to say thank you for all your hard work. The neighborhood is great, house is totally great but still trying to figure out the pool, lol! Looks like Bill is our mayor, hmmm. If I have any friends in need of a realtor I will definitely give them your number. Have a great new year! We’ve had business with Mona for the last 9 years. She assisted us in buying our home and multiple rental properties: single family homes and apartment buildings. She is efficient, highly organized and knowledgeable agent with the wide range of well established connections in the real estate world in San Francisco and Bay Area. Mona works with the specific requests of a client, always offers unbiased opinion and up-to-date financial advise. We highly recommend Mona’s services to anyone who plans to invest into real estate market or intends to buy a home. Mona provided us with all the useful information regarding the present market conditions and those items necessary to properly price and sell our house. I especially appreciated that when push came to shove with one buyer, she had no problem in telling us that we could just not accept the offer and to hold on for the next one. Some agents would do anything to get you to sign the acceptance but Mona was definitely on our side. Everything we asked about was presented back to us in a timely and professional manner. We would definitely use her again. Mona and her team sold my home back in ’06 and are now trying to find me home. They are incredible!!! She is so patient, kind, and very understanding. She is always willing to go the extra mile. Hands down BEST Realtor EVER!!! Mona is an experienced and detail oriented realtor. She is knowledgeable about our local area and all the mechanics of the real estate process. She has an excellent reputation in the industry and is respected by her colleagues. She is also caring and patient. I had to sell my parents property after they passed away. The timing was horrible as it was in the middle of a rough real estate market. However Mona helped me through each phase of the process and was critical to allowing the sell to go through. I could not have gotten through everything without her expertise. Prudential is very lucky to have an agent like Mona. We interviewed several others, and we almost signed, but it was our neighbor who gave us Mona’s name. We are very fortunate to get that information. I knew from the moment she walked into our house that I was going to enjoy working with her. Although, her disposition was very casual, she was always very professional. Mona’s style was awesome- all Real Estate agents should be like her! We love her. I was pleased to be able to work with Mona. She answered all my questions and guided me where I was uncertain. She is a very pleasant person. She was very helpful in coordinating the work to be done on the house, I had already moved out of the area. Mona was very nice and outgoing. She seemed to know what best for my family. She was always there when we needed her. She can really do the job. She worked really hard helping me finding the house. It was exemplary. I’ am an attorney who often deals with Real Estate disputes, Mona did an excellent job, was professional, attentive, and her experience showed. I would re-employ Mona to represent me in future Real Estate transactions. I’d be happy to act as a reference for Mona.